TEMPORARILY OUT OF STOCK...Embroidered floral lunch tote bag. Up-style your office day look with a fresh and fun summery lunch bag. It will brighten up any work day. The bag is smothered in delightful bouquets of roses in tones of blue, peach and green. A pink zipper highlights the feminine touch. 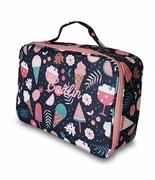 Use the bag to pack your snacks, sandwiches, a drink bottle, and some tempting treats. This tote is small, compact and easy to carry using the grab-and-go handle on the top. For a weekend trip or a day outing, pair with a backpack in a matching design search item MS-20167. 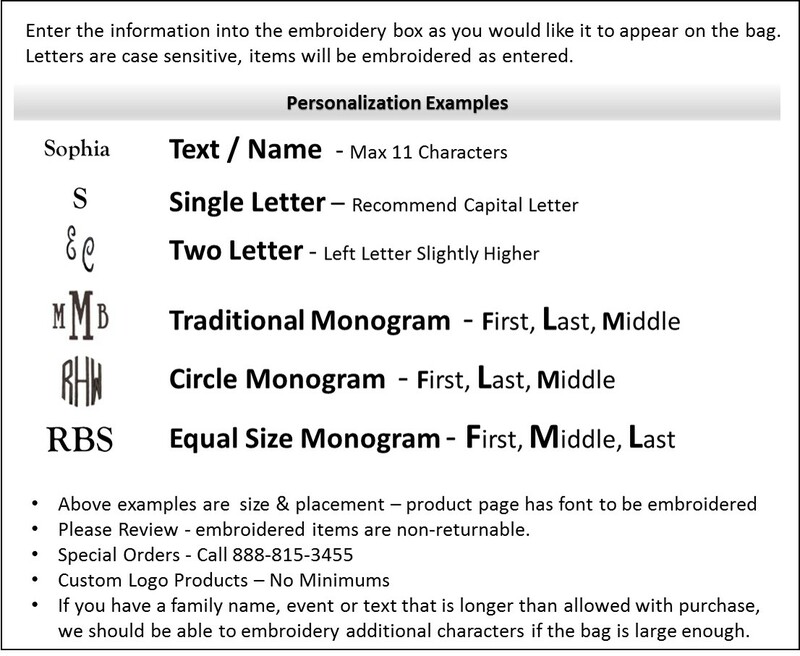 Monogrammed lunch tote bag measures 9”height x 11"wide x 4” deep. Easy clean micro-fiber fabric, interior can be cleaned with damp cloth. Add name or monogram for personalization.